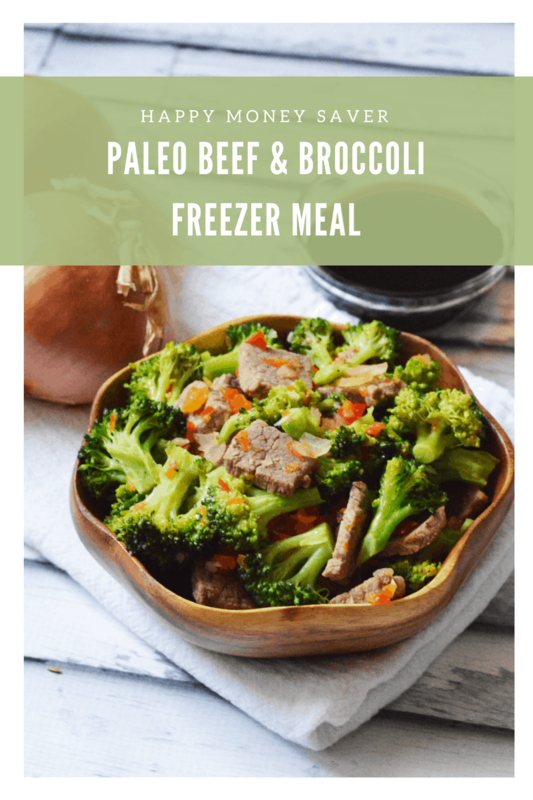 This paleo beef and broccoli has all the best nutrients and none of the processed junk you see in store bought freezer meals. 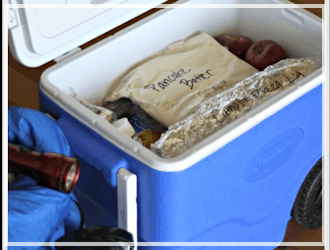 It’s super easy to prepare and will keep for quite a while in the freezer. The kids have gone back to school. You would think that I would be less busy and have more time. However, it rarely turns out that way in this house. Every part of the year brings its own form of hectic schedule. What does that mean? That means meal planning. I like to make meals ahead of time and freeze them. This way, I can just pull something out of the freezer, put it in a pan, and dinner is served. I don’t have to worry about chopping and marinating, etc. It’s all ready to go, it just needs to be heated up. Not only is this cheaper than eating out all the time but it’s healthier and even quicker than ordering in. The great part about a homemade freezer meal is fresher ingredients. This paleo beef and broccoli has all the best nutrients and none of the processed junk you see in store bought freezer meals. It’s super easy to prepare and will keep for quite a while in the freezer. The garlic and ginger give it a wonderful aroma with a flavor that’s not overly strong. I have one or two picky eaters in this house which is why I like to keep the ingredients separated. You never know who’s going to change their mind from meal to meal. So, freezing the ingredients separately allows me to prepare the meal in a way that makes everybody happy. It couldn’t be any easier to prepare! Just cut up or dice your ingredients, bag them up & freeze! Simply dethaw in refrigerator for 24 hours. Cook meat in pan about 5 minutes until cooked through, remove and set aside. In the same pan, toss in veggies and sautee until tender. 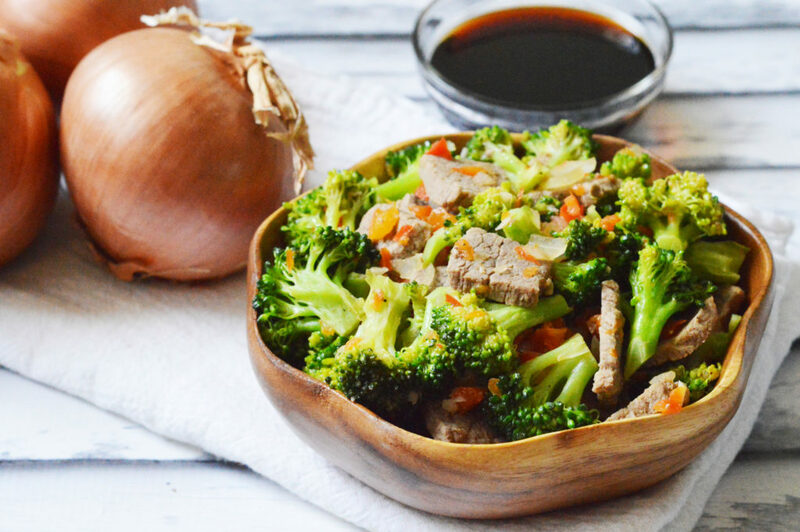 Add meat back into pan, toss, and serve with a side of soy or teriyaki sauce! 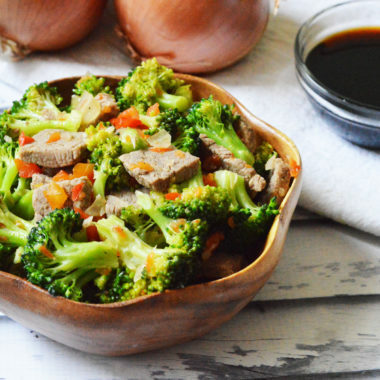 It’s a super fast and easy meal, packed full of protein and veggie goodness! 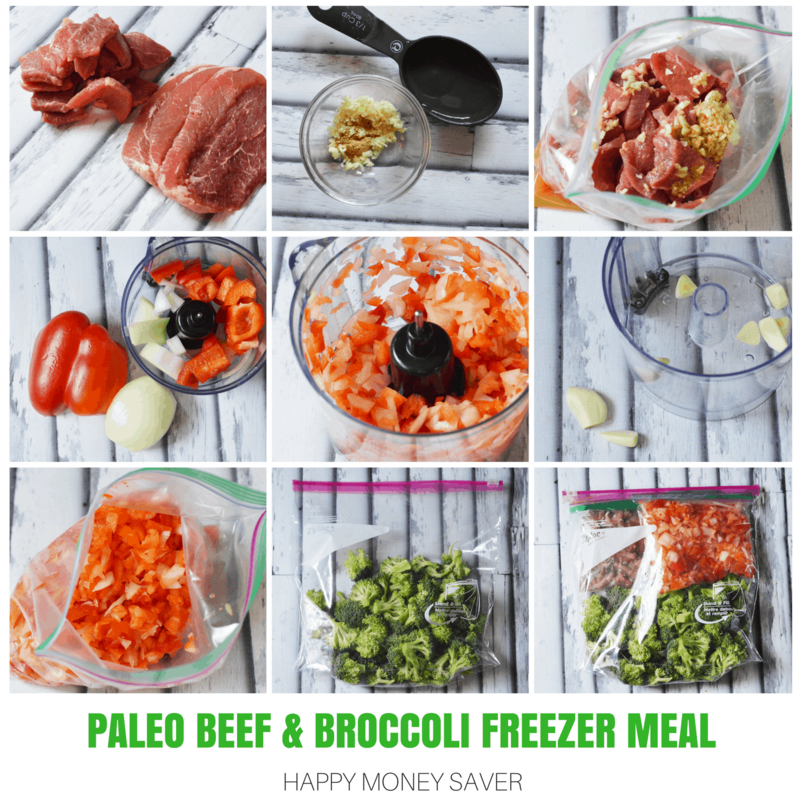 This Paleo Beef and Broccoli Freezer Meal is fast to throw together and just as fast to cook. 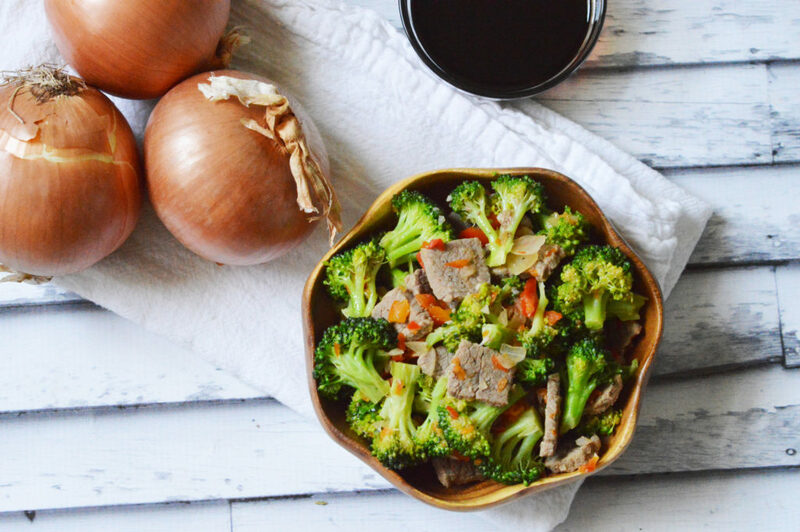 Packed full of protein and veggies, it's a great meal for families on the run! 1. Begin by chopping your steak, pepper, and onion into large squares. Your garlic will need to be minced. 2. Place the sliced pepper and onion in the food processor and reduce them to smaller chunks. Do not process them for too long or they will be very mushy. 3. Place your pepper and onion into a small pint-sized baggie. Set aside. 4. Break apart your head of broccoli into florets. 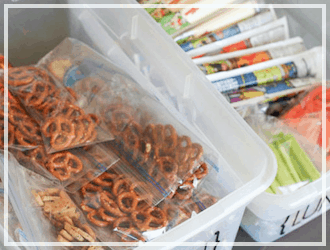 Place these in a large gallon-size baggie. 5. In a small bowl, combine your ginger, garlic, and water and mix well. 6. Place your raw meat in a pint-size baggie and pour the ginger mixture over the top of it. 7. Make sure the air is out of all bags when sealing. Seal up both of the smaller size bags. Be sure to smash and mix around the bag of meat so the juices and such are all throughout the bag. 8. Place both small bags on top of the broccoli in the larger bag and then seal the larger bag and freeze. 9. To prepare, allow to dethaw 24 hours in the refrigerator. 10. 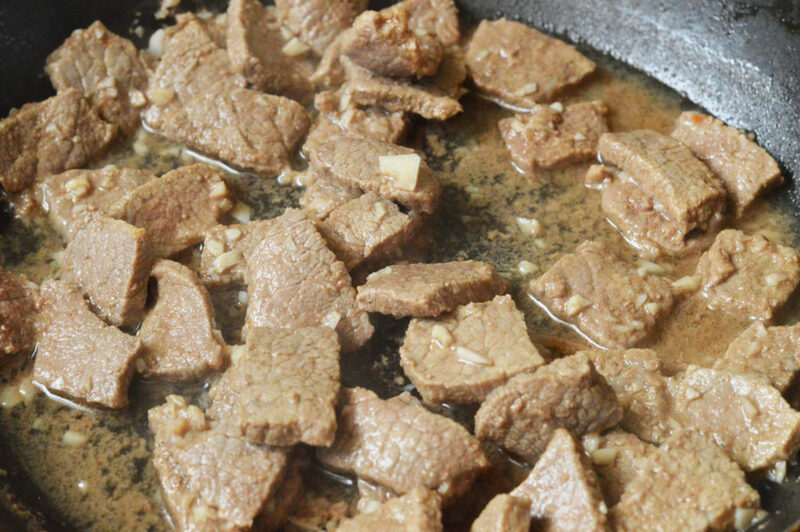 Place meat in a pan with olive oil and heat on medium hight until cooked thoroughly. Do not drain. Remove from pan and set aside. 11. 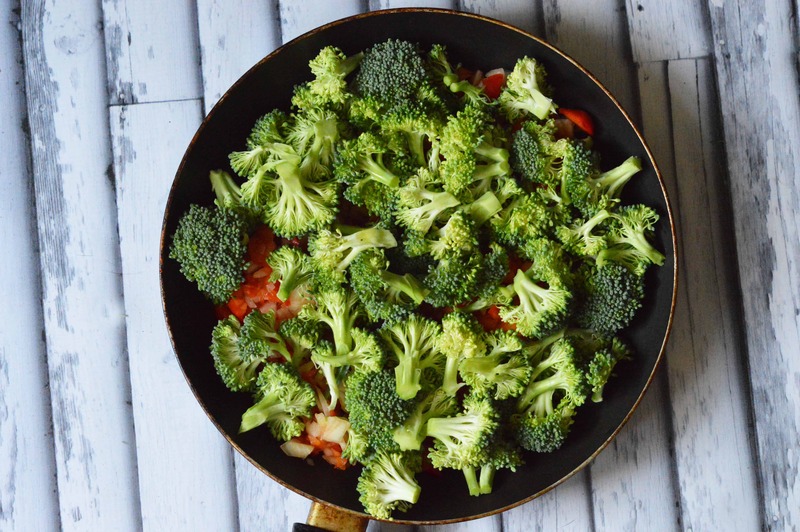 Place broccoli and pepper/onion mixture into the same skillet or wok. Continuously stir for about 5 minutes. 12. 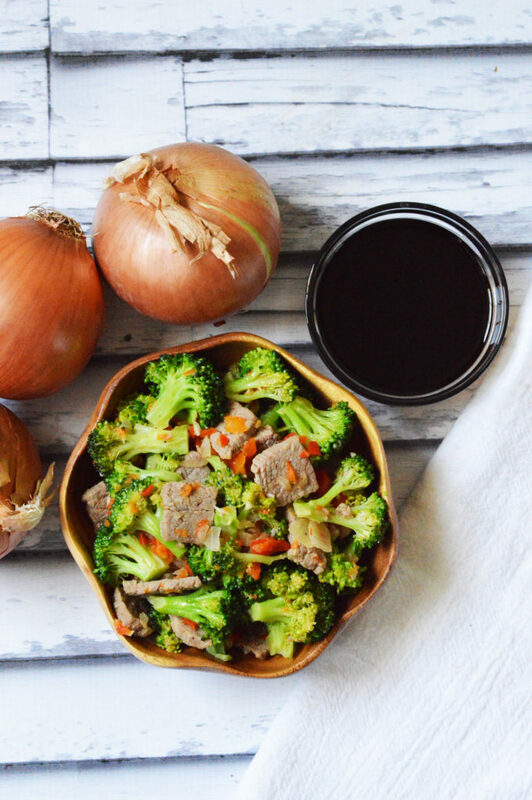 Combine meat and veggies and mix well. Enjoy! 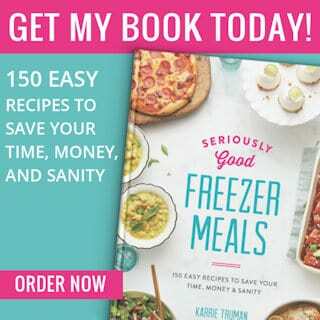 Want more freezer meals? 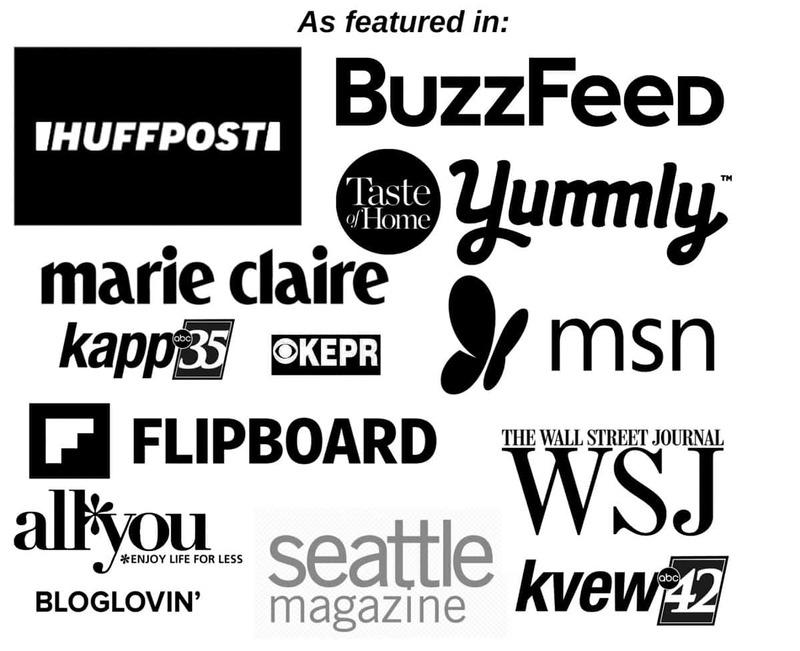 Check out all of them on Happy Money Saver! 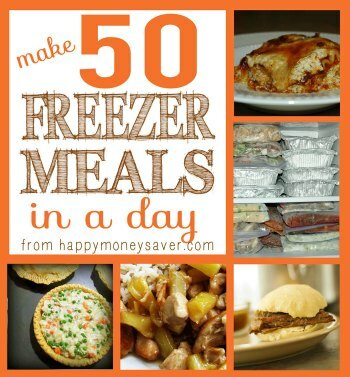 And also check out How to Make 50 Freezer Meals in One Day! I pinned this! I cant wait to recreate this for a meal idea in the near future! Delish! This is really great! 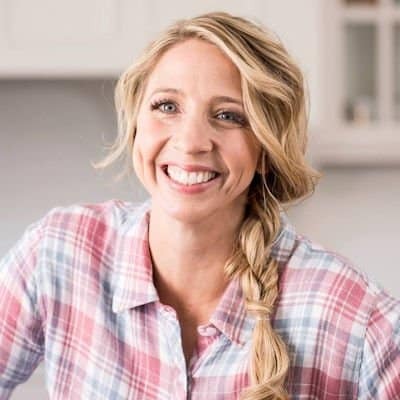 Such a fun weeknight meal idea! I haven’t been good about freezer meals in a while. 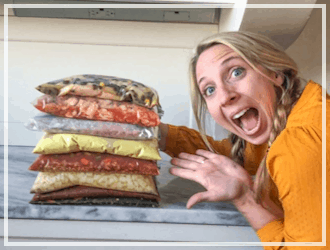 I would ramp up whenever I was pregnant, filling my freezer for what seemed like forever. But I need to get back on it. 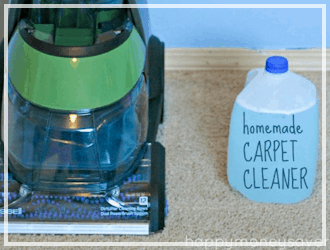 It’s so much healthier and I save a ton of money. This seems so fast to make even if it’s not frozen beforehand. Sounds like a good option all the way around! 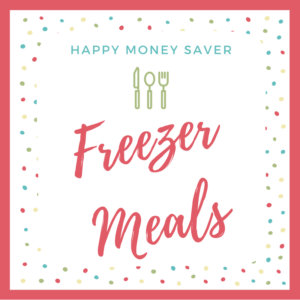 Freezer meals are such lifesavers! With our busy work schedule, we don’t need to worry about what we will be having. 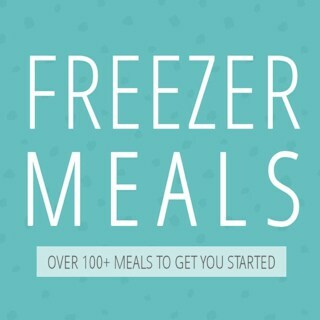 Oh I love freezer meals! I am going to try this one out, it looks delicious! I will have to make my own freezer meals too. It would save me a lot of time with food preparation. I should have thought of this earlier! This looks absolutely delicious! I will definitely be adding this to my rotation! 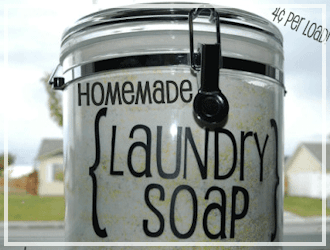 This looks really easy and sounds like it would be good! I may just have to try it for lunch this weekend!